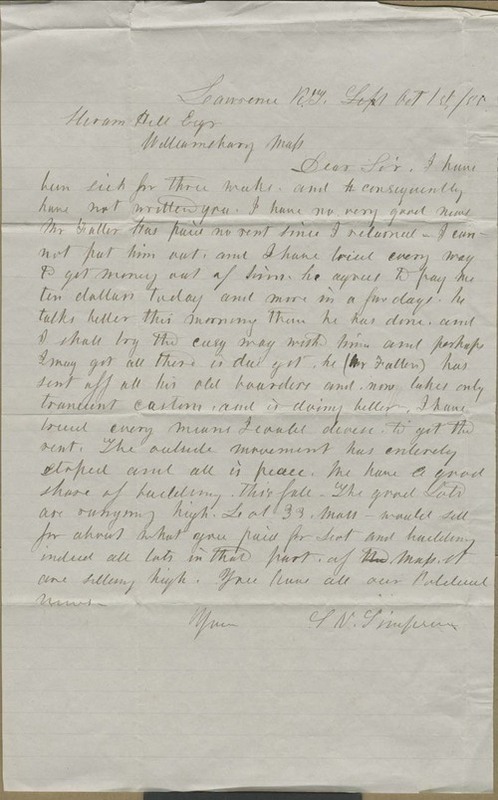 S. N. Simpson wrote concerning his attempts to collect rent from Mr. Fuller, who had not yet paid up, to Hiram Hill in Williamsburgh, Massachusetts. The undefined "outside movement" was at rest. Lawrence property values were rising; Hill had bought several lots and a house for the price of a single lot on Massachusetts Street at the current rate.